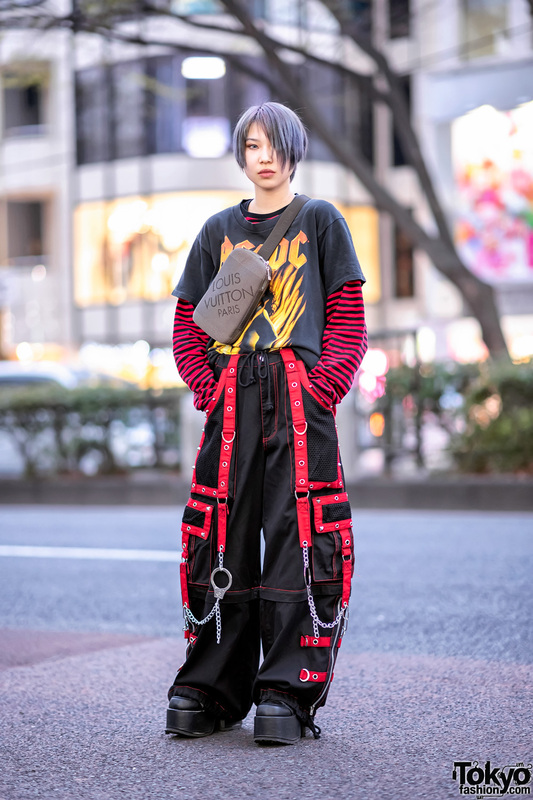 Here’s Equador, a 20-year-old guy with a fun-meets-darkness sense of style who we snapped in Harajuku. His baseball cap with big green ears (worn over pink hair) is what initially caught our attention. 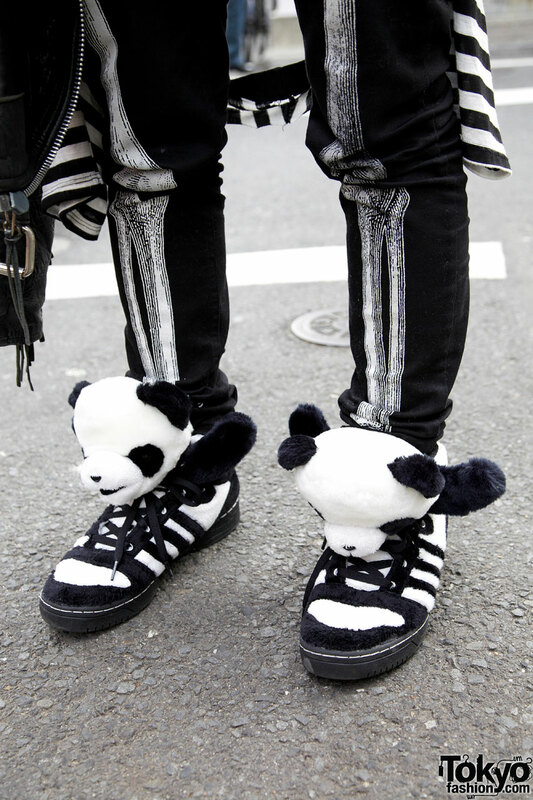 Equador is wearing a skeleton sweater that he picked up resale at Bubbles Harajuku, skinny skeleton-print jeans from Kreepsville 666, and Jeremy Scott x Adidas Panda sneakers. Accessories include sunglasses, the (bunny?) ear-hat, a lip piercing, a Kreepsville 666 necklace, a studded bracelet, a bicycle chain bracelet, an eyeball ring, and a large “Dead Girl” coffin ring (also from Kreepsville 666). 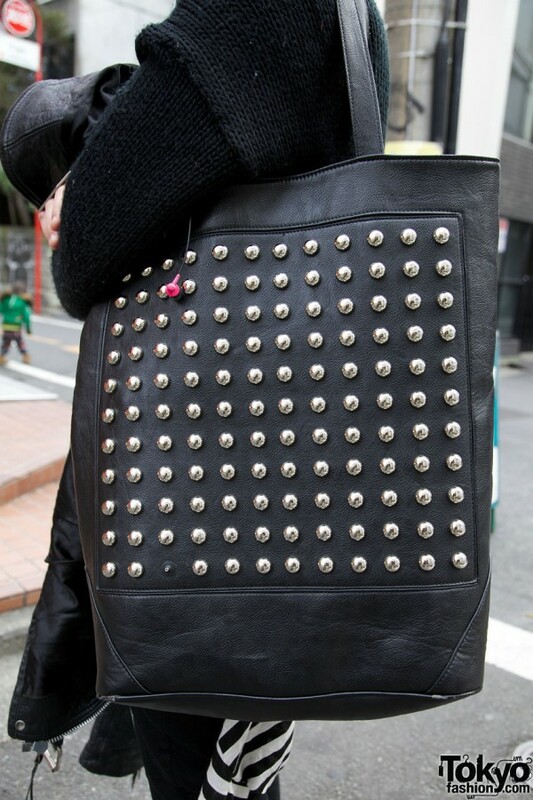 His cool studded leather bag is from the Japanese brand Glad News. He’s also carrying a black leather motorcycle jacket. When we asked Equador about his favorite things, he told us that he likes the brands/designers Glad News, Jeremy Scott, Givenchy, and Katie Eary. His favorite musical artist is Lady Gaga. If you’d like to know more about Equador, follow him on Twitter or check out his blog! Pretty Dam skt guy … Looking Dam goooddd …. 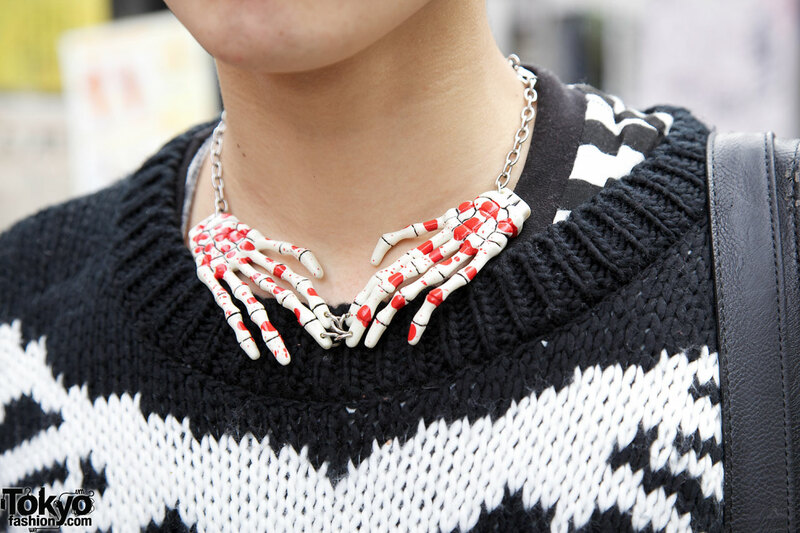 i have that same bloody skeleton necklace! He has beautiful lips!! What a gorgoeus cute face!